Detective Bill Brewer, 42, a Clermont County deputy sheriff, lost his life in the line of duty on Feb. 2. Services: Family and friends are invited to a public visitation from 4-8 p.m. Thursday, Feb. 7, at Mount Carmel Christian Church, 4110 Bach Buxton Road, Batavia, OH 45103, under the direction of E.C. Nurre Funeral Home in Amelia. Funeral services will be held at 11 a.m. Friday at the church. 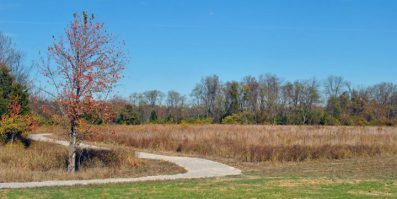 Interment will follow at Pierce Township Cemetery. Visitation parking: Primary parking will be available at West Clermont High School 4-8 p.m. Thursday. Parking WILL NOT be available at West Clermont Middle School because of parent/teacher conferences. Overflow parking is available at Pierce Point Cinema 10 (1255 Ohio Pike). Clermont Transportation Connection will run shuttles between the theater parking lot and the church, starting at 4 p.m.
Where to view funeral: Crossroads East Side, next to Jungle Jim’s, is opening its auditorium Friday so that the public can view Detective Brewer’s services. The church will open its doors at 9 a.m. Friday, with screening expected to start at 11 a.m. The auditorium and performing arts center at West Clermont High School and Middle School have been reserved for law enforcement officers and first responders. The public SHOULD NOT go there. From home or office: WKRC Local 12, WLWT Channel 5, WXIX Fox 19, and WCPO Channel 9 will provide live broadcast coverage and streaming coverage of the funeral service. The Cincinnati Enquirer will provide live streaming coverage. Clermont Public Library: All 10 library branches will live stream the funeral service beginning at 11 a.m. Friday, Feb. 8. The public is welcome. Enter into cemetery where transfer from the hearse to the horse-drawn caisson will take place; caisson will proceed to the grave. Note: The American Legion is asking people to line the processional route with American flags. Where to donate: The Bill Brewer Memorial Fund, to help Detective Brewer’s family, has been set up at Park National Bank. Individuals may drop off donations at any Park National branch or can mail a check to Bill Brewer Memorial Fund, Park National Bank, 1187 Ohio Pike, Amelia OH 45102. 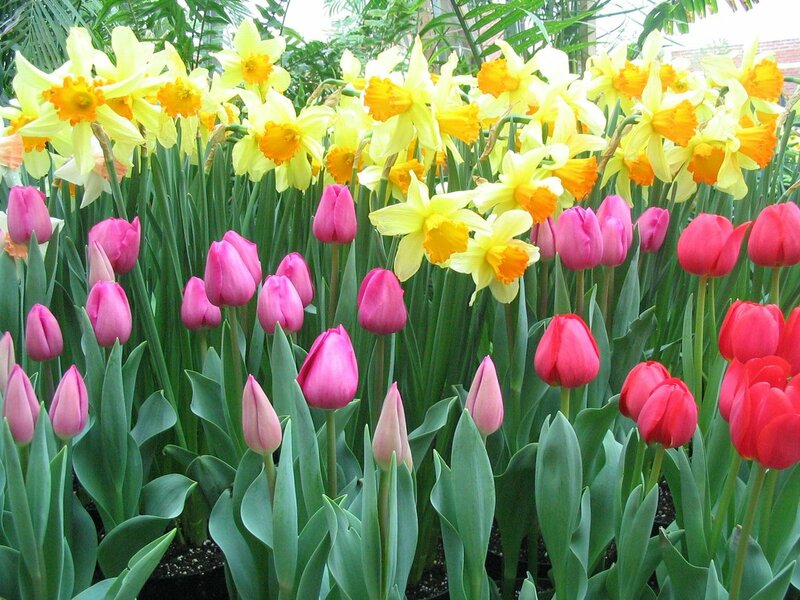 Many county offices will be closed Friday. Read more here. 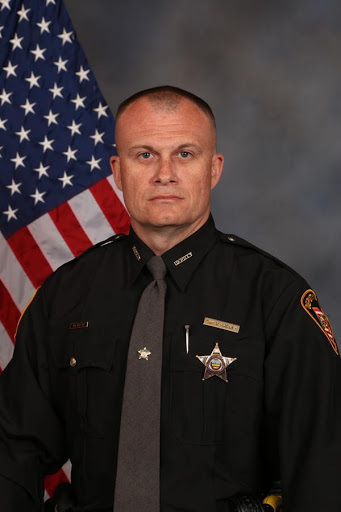 BATAVIA, Ohio – Today, Clermont County Commissioners join all the elected officials and employees of Clermont County in mourning a brave deputy sheriff who lost his life in the line of duty. 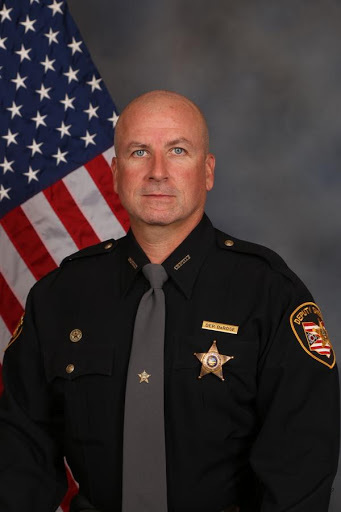 Commissioners extend their deepest condolences to the family of Clermont Sheriff’s Detective Bill Brewer, and thank him and Lt. Nick DeRose, who was injured, for their bravery. 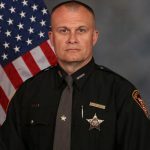 On Saturday, Feb. 2, around 10:30 p.m., Detective Brewer and Lt. DeRose were shot by a male who had barricaded himself in his apartment in Pierce Township and was threatening to kill himself. 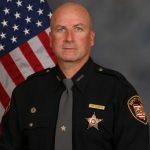 Detective Brewer, a 20-year veteran of the Sheriff’s Office, was transported to Anderson Mercy Hospital, where he later died as a result of the gunshot wounds he sustained. Deputy Brewer is survived by his wife and a 5-year-old son. “There is no greater love than a man to lay down his life for a friend. Detective Brewer laid down his life in service for our citizens. Please lift his family up in prayer,” said Commissioner David Painter, President of the Board of County Commissioners. “Our deepest condolences go to the family of Detective Brewer, who bravely gave his life in the line of duty. “We thank Lt. DeRose, whose injuries were, thankfully, not serious. We thank all the men and women of the Sheriff’s Office and our local police departments and fire departments who responded throughout the night to work together to bring this situation under control. “Our hearts are heavy today for this loss to our community. We send our prayers to the families of Detective Brewer and Lt. DeRose,” Commissioner Painter added. 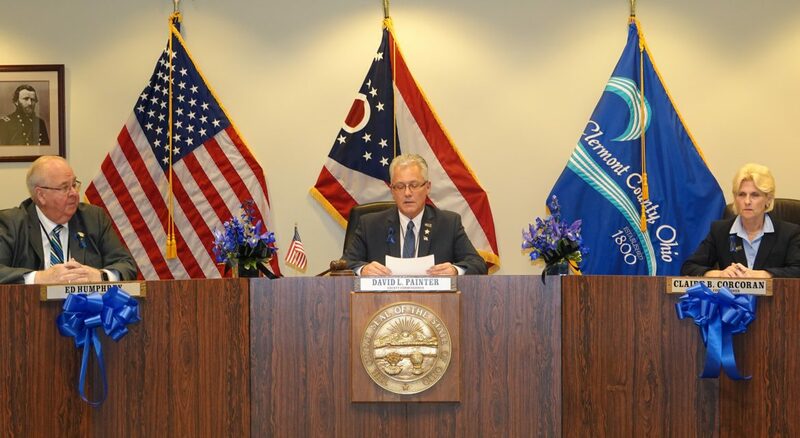 BATAVIA, Ohio – The Clermont County Opiate Task Force voted to oppose Issue 1 at its meeting on Oct. 11. The task force is comprised of stakeholders representing county government, agencies and the courts (Commissioners, Clermont County Public Health, Clermont County Mental Health & Recovery Board (MHRB), Municipal Court Probation, Common Pleas Court Probation, Public Defender, Children’s Protective Services, County Sheriff); Greater Cincinnati Behavioral Health Services; Clermont Mercy Hospital; law enforcement and fire/EMS departments; faith-based organizations and private citizens. At the meeting, a panel including Common Pleas Judge Jerry McBride, Assistant Prosecutor Darren Miller, Sheriff Steve Leahy, Commissioners Ed Humphrey and David Painter, and Karen Scherra, Executive Director of MHRB, spoke out against Issue 1 and detailed the impact it would have on the county courts, law enforcement and the County Jail, and taxpayers. Karen Scherra of the Mental Health & Recovery Board said that although her board is in favor of legislative reforms, it opposes Issue 1. 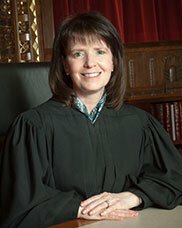 “We do not see treatment increasing under Issue 1,” she said. “It’s often the stick of criminal justice that gets people into treatment.” She noted that her board has worked closely with county partners in criminal justice as well as the Commissioners to come up with initiatives in the battle against the opioid problems in the county. “If this passes we will watch a system that we worked really hard to build up collapse,” she said. 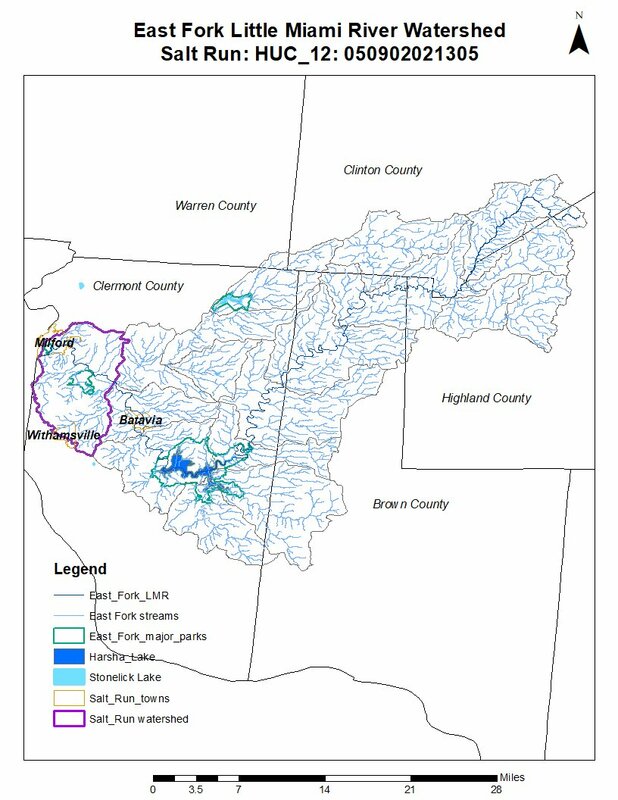 On Oct.3, the Clermont County Commissioners passed a resolution opposing Issue 1. Renae Butcher and Denny Moell, of Child Focus’s Mobile Crisis Team. Their work is funded by MHRB. 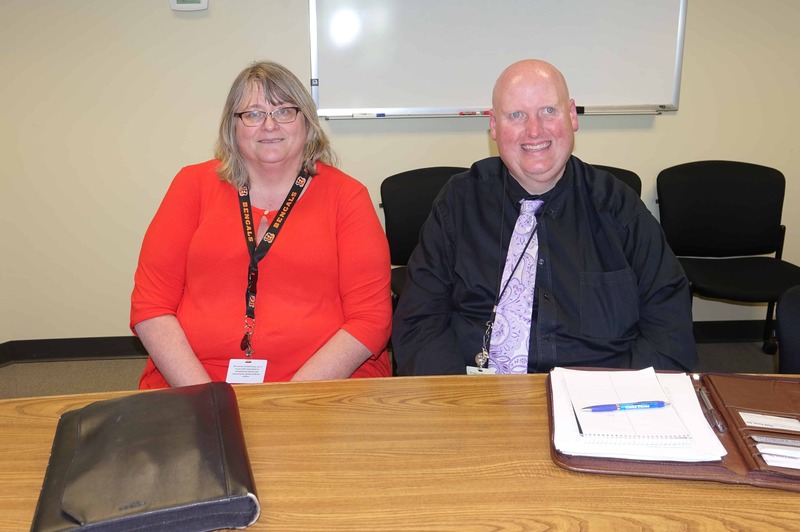 BATAVIA, Ohio (Aug. 24, 2017) — Partnerships are crucial when it comes to dealing with mental health issues among inmates at the County Jail, said Administrator Joe Palmer. “I don’t know how we could operate now without our wonderful partners,” he said. Those partners include the Clermont County Mental Health & Recovery Board, whose levy funds the Mobile Crisis Team. (Mobile Crisis is operated by Child Focus Inc.) Renae Butcher, a social worker from Mobile Crisis, is now working full time at the jail, helping to assess inmates who appear to be dealing with a mental illness. The Mobile Crisis Team also assists the Mental Health and Recovery Board in providing Crisis Intervention Training to law enforcement and corrections officers in Clermont County, teaching them through role-playing and other exercises how to react to and work with those who show signs of mental illness when they are responding to a call, or encounter them in jail. 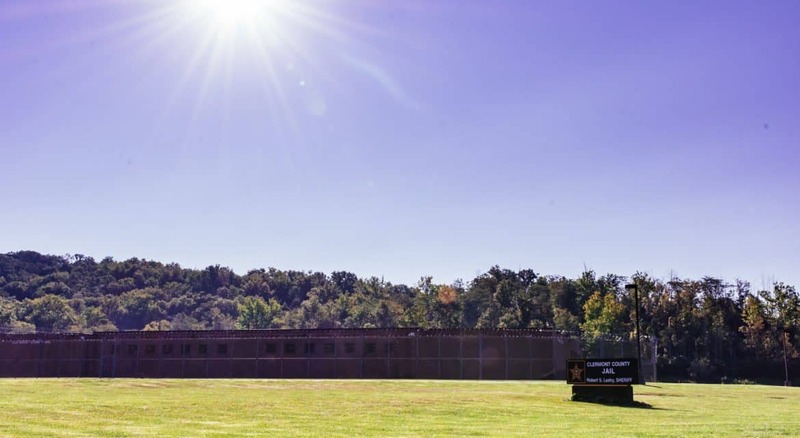 At least 60% of corrections officers have completed the training. 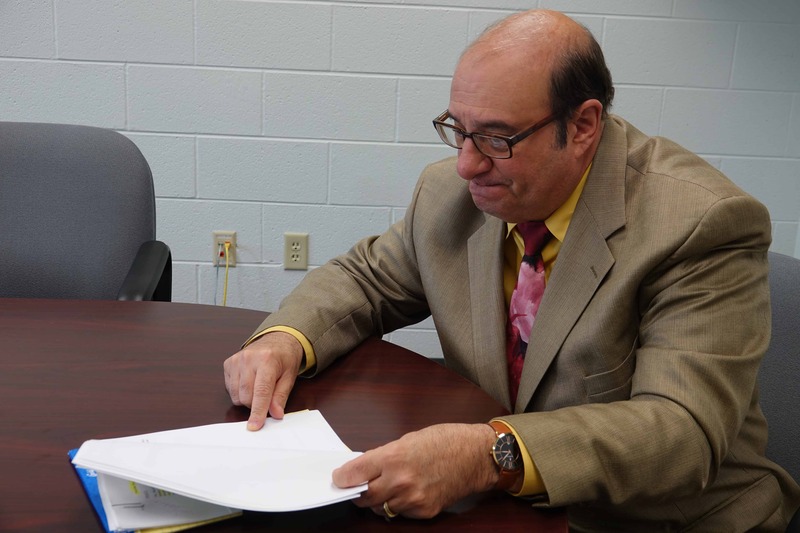 Another partner is Greater Cincinnati Behavioral Health Services (GCB), which has two locations in Clermont County, one for mental health services in Amelia and the Clermont Recovery Center for addiction services in Batavia. A grant just awarded to MHRB from the Ohio Department of Mental Health and Addiction Services has allowed for Butcher’s position to move from part-time to full-time at the jail, and will allow GCB to hire a full-time case manager to work with inmates upon their release from jail, connecting them to treatment options. BATAVIA, Ohio (Aug. 24, 2017) – It’s no secret that jails in the United States have become homes, and sometimes havens, to those with mental illness. National studies have shown that nearly 15% of men and 30% of women booked into jails have a serious mental health condition, according to the National Alliance on Mental Illness. Now, a grant for $83,333 that MHRB was awarded from the Ohio Department of Mental Health and Addiction Services will put more resources toward screening and possible diversion of those with mental illness into treatment programs. All corrections officers are instructed in how to screen inmates for mental illness, and are trained on how to work with people in crisis. They also depend on the expertise of social worker Renae Butcher, a member of the Clermont County Mobile Crisis Team. The grant has allowed her to move from part time to full time at the jail, where she screens inmates for possible mental illness and works with them during crises. The grant will also allow a full-time case manager to be hired who will connect inmates with resources as they are released. Additionally, medical staff at the jail includes a nurse who specializes in mental health, and a psychiatrist who visits the jail twice a month, and is available to take nurses’ calls at any time. Added Butcher: “If the inmate seems suicidal, we see if we can get them calmed down. 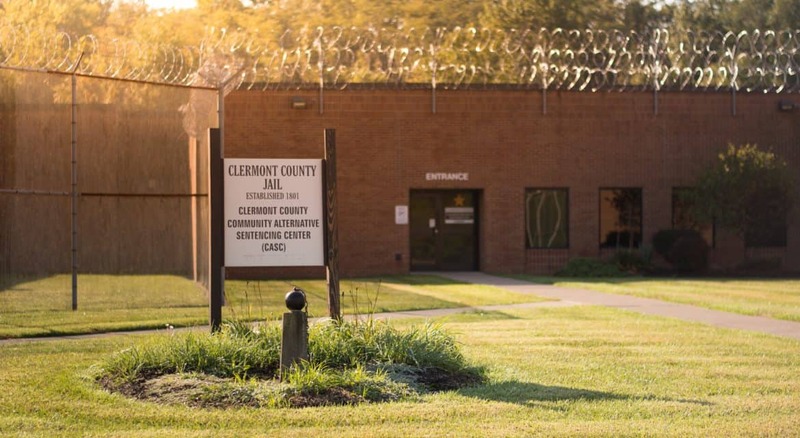 Can we keep them in jail safely, or do we need to move them to Mercy Clermont or Summit?” So far in 2017, nine inmates have been referred to Summit. There are two levels of suicide watch at the jail. “If we even SUSPECT you’re suicidal, you’re put on Level 1 or Level 2 watch immediately,” Palmer said. 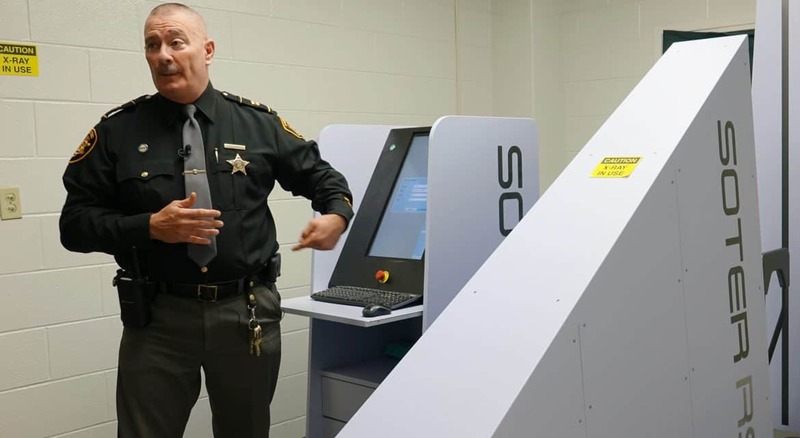 The Sheriff’s Office has a set of policies that outline procedures to take whenever an inmate is placed on Level 1 or Level 2 watch. These include securing the inmate, administering first aid and summoning medical assistance, completing a questionnaire with the inmate, and removing any clothing items that might assist in suicide. Inmates are issued safe gowns and blankets and are placed in holding cells. For a Level 1 watch, inmates are checked at least every 10 minutes. For a Level 2 watch, they are put in a cell in front of the booking area and continuously monitored. The Sheriff’s Office contracts with Southern Health Partners for all medical, dental and mental health services at the jail. The current two-year contract for 2017-2019 is $1.65 million. This includes nursing staff – at least one nurse at all times, and sometimes as many as three; a mental health nurse twice a week, and a psychiatrist twice a month. The psychiatrist can prescribe psychotropic drugs over the phone should an inmate need them, Palmer said.